People who know me believe that I like birds. Well, I want to explain this. The truth is that I DO like birds, somewhat. But I’m not a typical bird watcher. My interest is actually more about bird books. Over time, my interest in bird books led to an interest in books in general. All books. Books let you in on secrets. I like secret information. The word “secret” is an exaggeration of course. It makes the information sound like something dangerous. But that’s not the case. All information is secret to the people who don’t have it. And if you do have it, you know something these other people don’t. This helps you see the world better. It helps you appreciate the world. It helps you understand the size and shape of the world. It gives you power over information. And it’s better to have power than not. People can argue with this if they want, but I’m not going to argue back. I have better things to do. Like read a book. 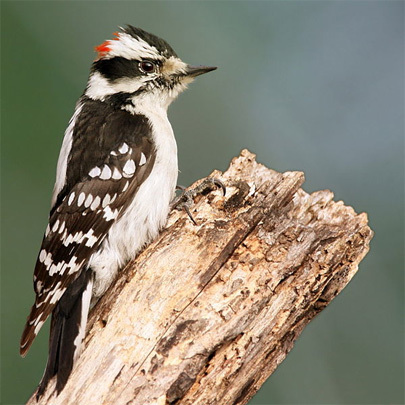 Anyway, here’s how a little black and white bird known as a Downy Woodpecker started my interest in birds and books. I should say books and birds. Books come first. I’ve seen a lot more books than I have birds. And learned a lot more from them. When I was about six years old, my school teacher had us study birds for a few days. She passed around bird books and we drew pictures of birds and she put up posters about the birds of our area. I didn’t care much about this. I thought birds were something the girls might be interested in, like flowers. I paid no special attention. But I was a kid who liked art. I liked to draw and could do it pretty well. I had lots of crayons and a watercolor set of paints. Anything colorful would catch my eye; I couldn’t help it. One day, I leafed through the pages of our classroom’s bird book and I was interested to see how many colors the birds had on them. This was new to me, and interesting. I lived in a city neighborhood in those days, and the birds I saw around my apartment building were gray and brown. Pigeons, sparrows, that was about it. So when I saw all the different birds in the book, in bright color combinations, I paid some attention. One bird caught my eye because it had a color combination I could only describe as mischievous, although in those days I don’t think I would have used that word. It was the Downy Woodpecker. This bird was all black and white. Black mostly, with white stripes, white speckles, a white chest. It came from a world of black and white, like the pictures in a newspaper. You didn’t need any colors to draw a Downy Woodpecker, just a black pencil would do. Or would it? Maybe I was wrong about this bird. Something caught my eye. On the back of the Downy Woodpecker’s head, if it was a male bird, there was a tiny bright red dot! It’s like the designer of birds was having fun with us. The colors of this bird were black and white, and just as we understood this and expected no more, bam, someone dipped a fingertip in cherry red paint, fire engine red paint, and dabbed in on the top of the little bird’s head. This seemed to say, don’t jump to any conclusions. We can have any color anywhere we want to put it. And red never looks as red as when it’s against plain black and white. See, it wasn’t the bird I cared about. I wasn’t interested in a woodpecker’s habits or its size or the sound of its voice, or how many eggs it lays, at least not at first. I only cared about how life could be full of surprises because a black and white thing could have an unexpected dot of color on it. Then I forgot about the Downy Woodpecker and its colors. Well, I didn’t forget, exactly. I just put it out of my mind and went on to think about other things. Like playing with my friends, watching cartoons on television, running in the playground, climbing slides and sliding down as fast as I could. Later, on a summer vacation with my parents, I was walking in the woods at a country resort and I saw a Downy Woodpecker. It was on the side of a big tree and the bird looked very small. But it skittered up and down the trunk, holding on with its feet and propping its body by resting its stiff tail against the bark. Every once in a while it would peck at the tree, and I thought, hey, it’s called a woodpecker and it’s pecking at the wood. Makes sense. And then I remembered the red dot I’d seen in the birdbook. I moved closer and looked up at the bird as it worked its way around the tree, sometimes disappearing behind it, but then coming around again. It wouldn’t sit still, and I couldn’t get an easy look. But then, there it was! The bird tilted its body, and I could see the back of its head. A bright red spot. I knew it would be there. The connection was exciting. I connected my memory of the bird on the page in the book to this moment of seeing the real bird on the tree. I had the secret knowledge that this wasn’t just a black and white bird; it was a bird with that surprising bit of red. And I knew it was a male. I knew it was called a Downy Woodpecker. I knew things that other people who were standing around me looking at a little nameless black and white ball of fluff hopping up and down the side of a tree didn’t know. I said the word “connection” a moment ago. That’s the right word. It was like pushing an electric plug into a wall socket, and zap, light! The connection was made. 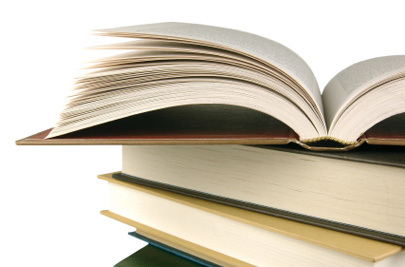 I realized that books can tell us things that are not just in the books, but in the real world, the outside world. This made me feel good. I wanted more of this good feeling. So from that day on, I looked at books with a new interest. Of course, I soon got a bird book, hoping to get that good feeling again when I saw birds in the outside world that I could recognize. And this happened. I saw a Cardinal and knew it would have black around its face, and a pointed crest on its head. I saw a Blue Jay and knew the back of its tail would have white tips, as though it were dunked in a can of white paint. I saw a Wood Thrush and knew it would stay on the ground instead of sit on a tree branch, because the bird book said Wood Thrushes preferred the ground. I knew about the birds. I knew things. The books gave me those things. This would be a small story, not really worth telling, if that was all there was to it. But birds and the information in bird books about them, were just the beginning. I got the point that day when I saw the red spot on the Downy Woodpecker in the tree, and imagined the electric plug. All books can connect you to what’s out there in the world. I like knowing about what’s out there in the world. So I like reading books. All books. And when people think I’m a guy who likes birds, just a guy who’s a bird watcher, they’re not really getting the picture. Birds were where I started understanding this important thing about secret information. I still look at birds. But I look at other things too, as much as I can. This entry was posted on Tuesday, June 9th, 2009 at 8:57 pm	and is filed under "Viewpoints". You can follow any responses to this entry through the RSS 2.0 feed. You can leave a response, or trackback from your own site.